With the sun high in the sky we decided to venture out to the beautiful Ribble Valley in Lancashire. 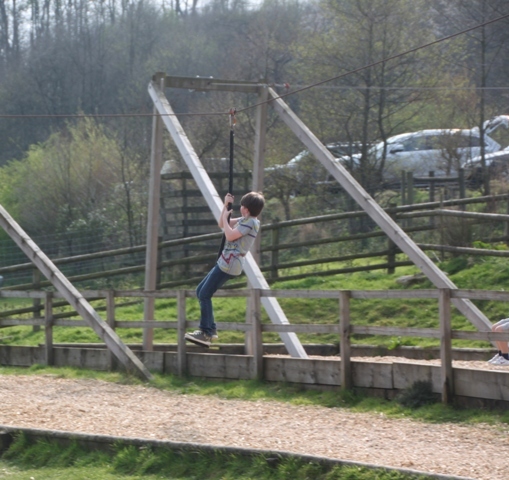 Our destination was Bowland Wild Boar Park for a day of animal antics and rambling. This family run business is right in the heart of the Forest of Bowland – all lush green hills and lovely scenery, even the journey there is a highlight. Right in the middle of nowhere – how would anyone ever find this place we reasoned – we’d likely have it all to ourselves. Not so, with a full car park we were diverted to the overflow area but with 65 acres to explore there was room enough for all. 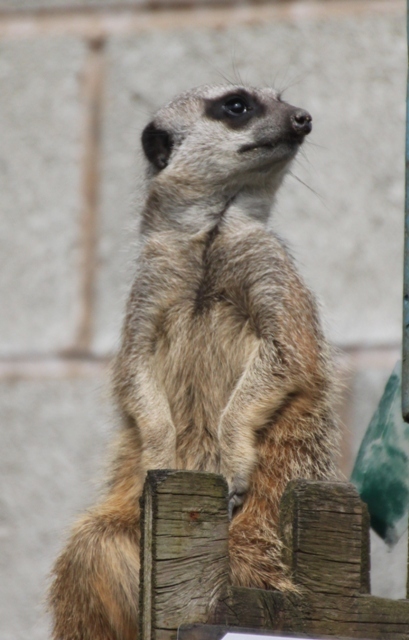 It’s not all about boars – they have other animals here including meerkats, our first port of call. We chatted with a keeper who told us they are eagerly anticipating seeing some brand new babies, born during the night underground (they think) but a bit of a wait, the mother would not come back out with the babies for a couple more weeks. This cheeky chappy was none too shy and seemed keen to get up close and personal. 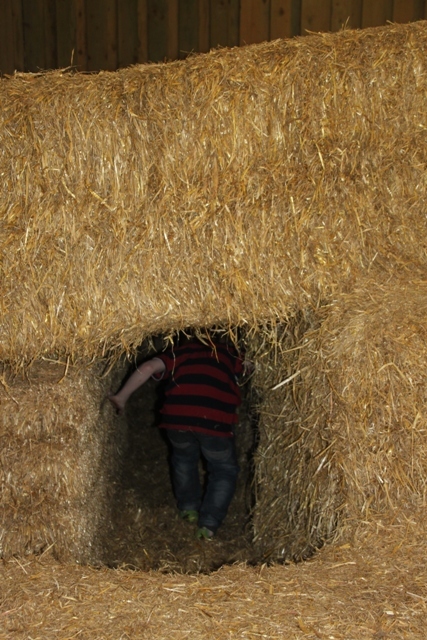 Son found a barn full of hay, promptly disappeared into a “tunnel” with a myriad of other screaming youngsters and would happily have stayed there for the rest of the day. 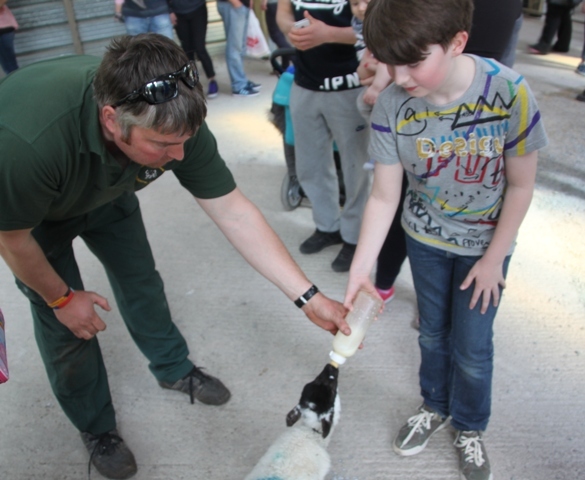 We saw a baby calf, some curious goats and tried our hand at milking a cow. 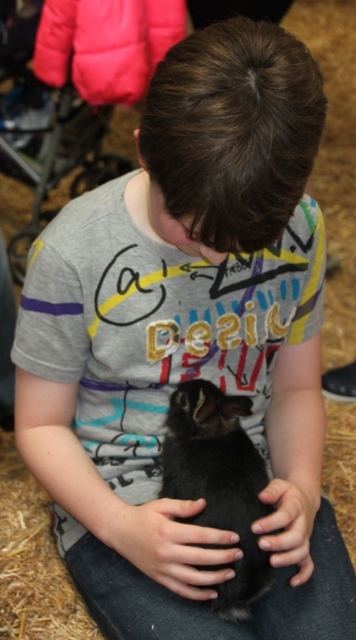 Rabbits to pet, chicks to stroke and lambs to feed – it’s a great place for kids to get hands-on. 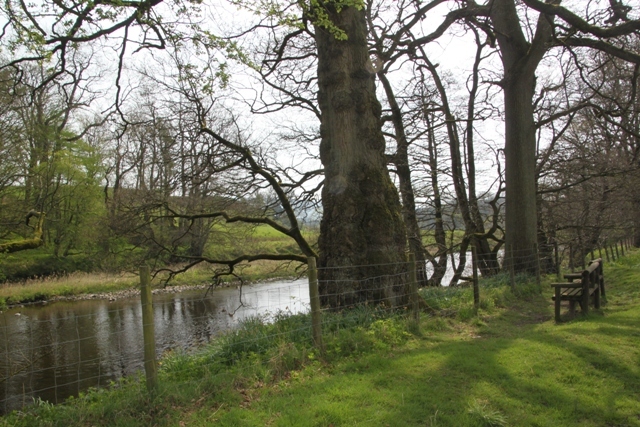 The setting is stunning – we had a stroll by the River Hodder before it was time to do the wild boar walk. 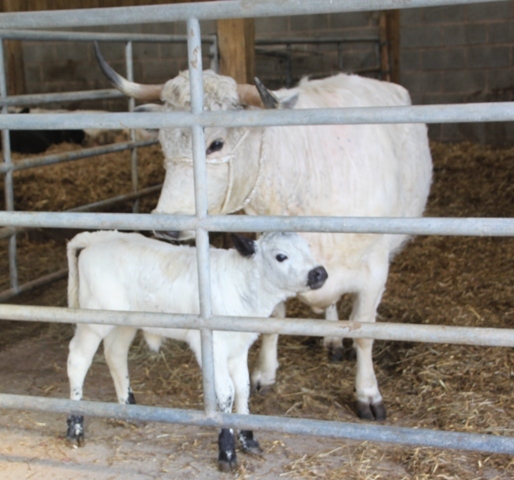 This was a highlight of our day, we joined the farmer on a trek around the boar area and en route heard lots about these creatures and a bit about the history of the farm. A bumpy tractor ride to the top of a hill was our next big thing then we hiked a short and easy trail back down again. Plenty of animals to see on the way, we also found a replica of an Iron Age roundhouse. 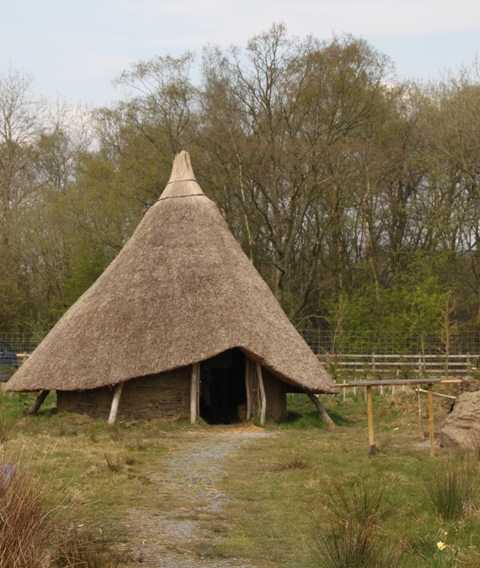 Built with tree branches and a thatched roof you can go inside and see how the Celts lived. The best ice-creams ever at the bottom helped to cool us down then Son joined a group of delighted youngsters and was pulled along by a tractor. With still more steam to let off, we set him loose in the play area before closing time and the drive home. These guys accompanied us to the car – a fitting send off after a great day out. 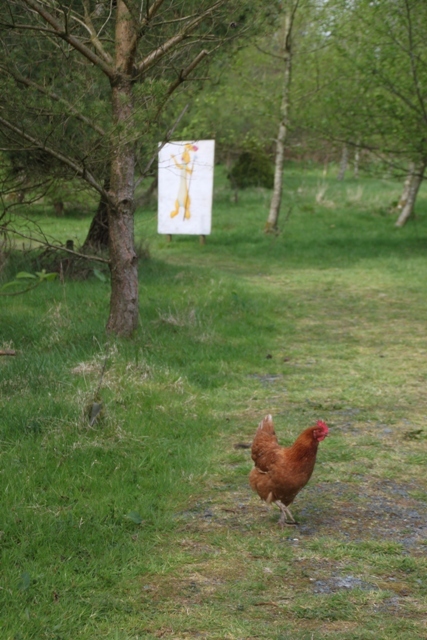 Rambling in the woods, feeding the lambs and encountering a wealth of other animals a great time was had by all. That looks to have been a great day out. Meerkats are so engaging. I love the photo of the curious pig and the windswept sheep too. 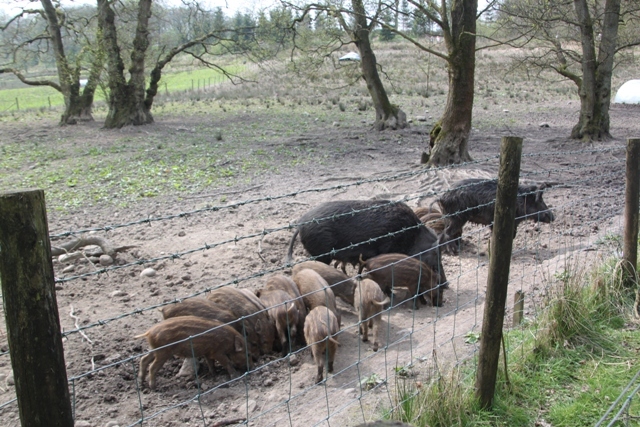 It was lots of fun – the pig and sheep just posed so nicely! what a blast! animals can be such comedians. i love the picture of that pig! That was a pig with a big personality! This place looks amazing. My kids would love to see all these animals. What a fun day! 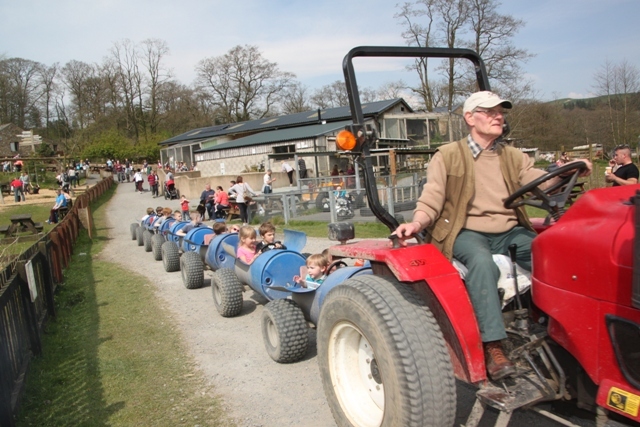 It is very laid back and relaxed as well – just the perfect day out. Those animals seemed to know how to strike a pose for sure! Have a great weekend. That simling pig is the best!!! A pig with character for sure! 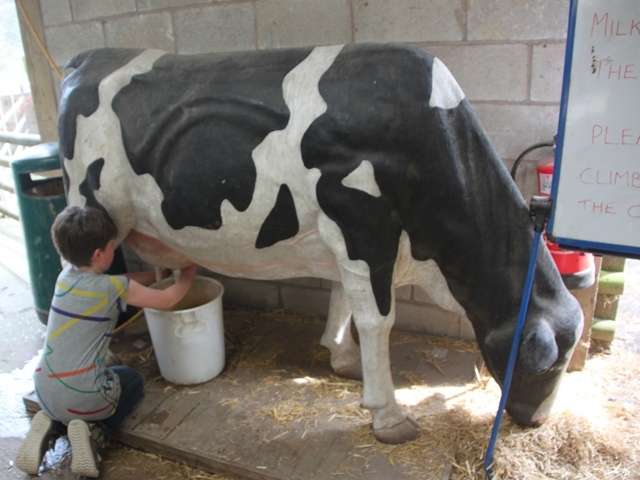 You can milk a cow! Oh yes! Well, a pretend one anyhow. Not much of a credit to my farming grandparents am I? A pretend one is definitely less impressive. But do your grandparents know how to blog? Hm? Good point. Suddenly feeling much less insecure about my husbandry skills! Have a great weekend…..
What a fun day! Great pictures! It was a lot of fun – so much to do and see. What a fun family day out! 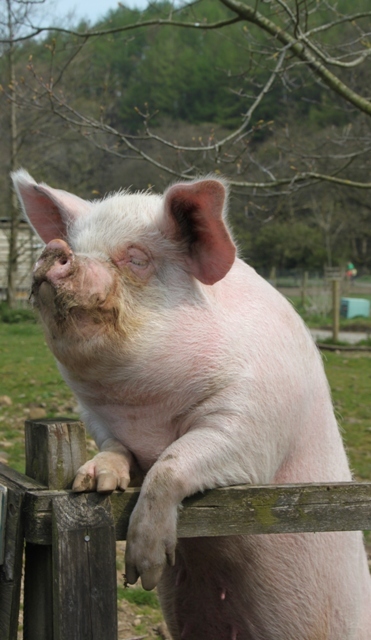 I love the pig photo – pigs are so photogenic! 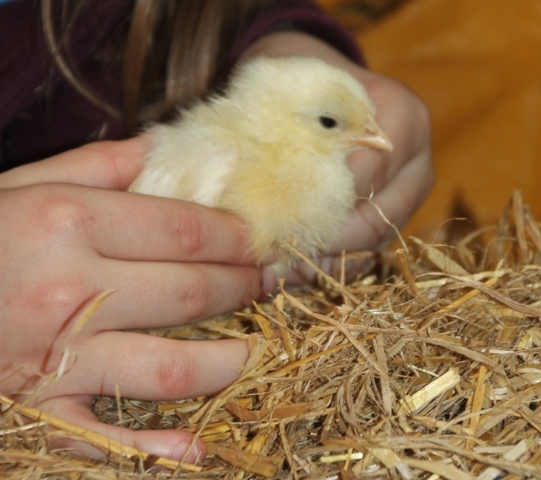 And love the photo of the chick as well. Beautiful countryside. Happy travelling, Joy. 🙂 Thanks for visiting my blog. Love this post! 🙂 especially the tractor pix! Thank you – it was a great day out. Yes, the pig was my favourite! What a sweet post! I just adore animals. That sheep is so fluffy 😉 And what a cute duck family. 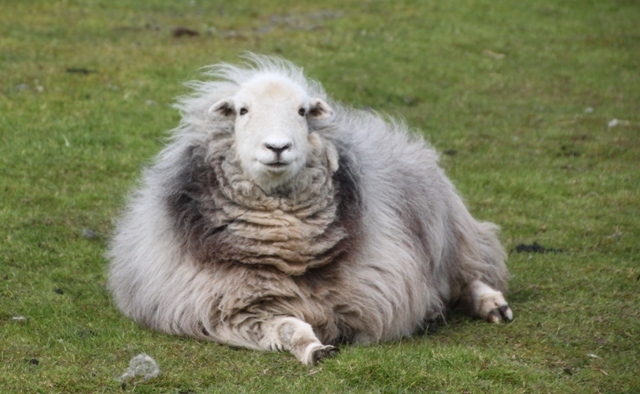 The sheep just seemed so chilled out and posed so nicely! !